Harsha Nagaraju is an independent animation filmmaker from Mysore whose animated short films have been shown at international film festivals. Drawing, writing and storytelling are his abiding interests. 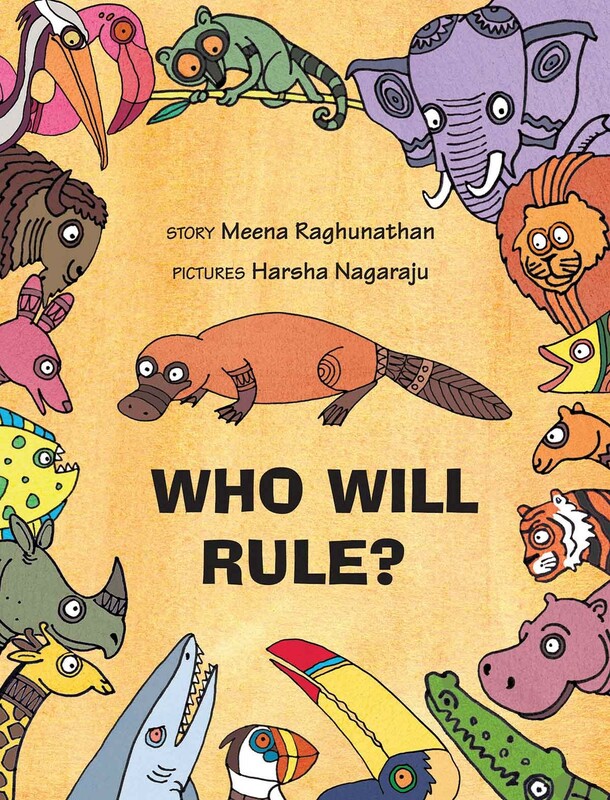 His bright, stylised illustrations in Who will Rule? bring together elements of Indian and Aboriginal folk art to add a whimsical quality to the story. Inspired by an Australian Aboriginal tale and adapting their folk art, this is a story about what happens when birds, animals and fishes compete about who should rule the world. 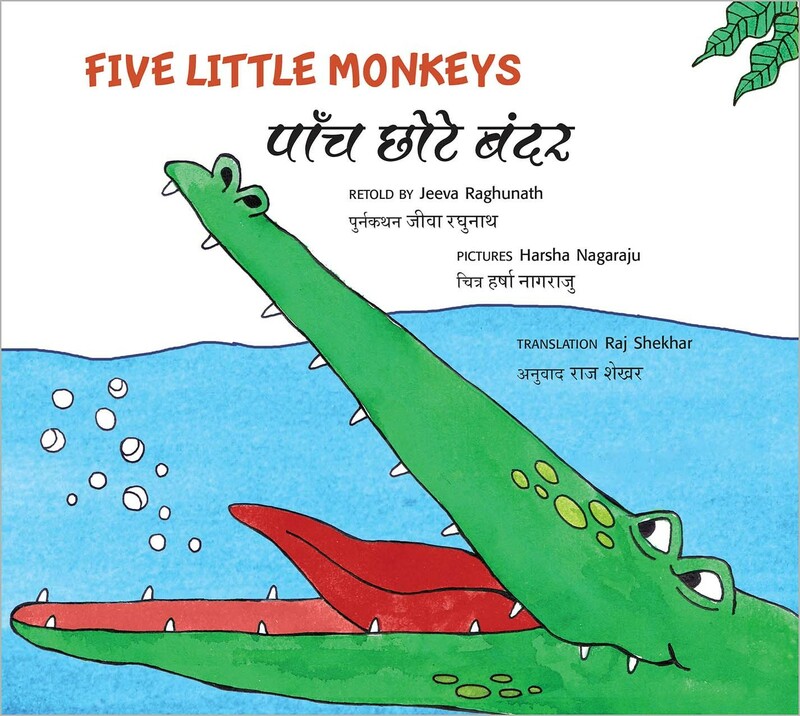 An old favourite about teasing monkeys and an angry crocodile retold with sounds, rhythm and repetition — and double the fun, in two languages! The jaunty pictures have the touch of a skilled animator. 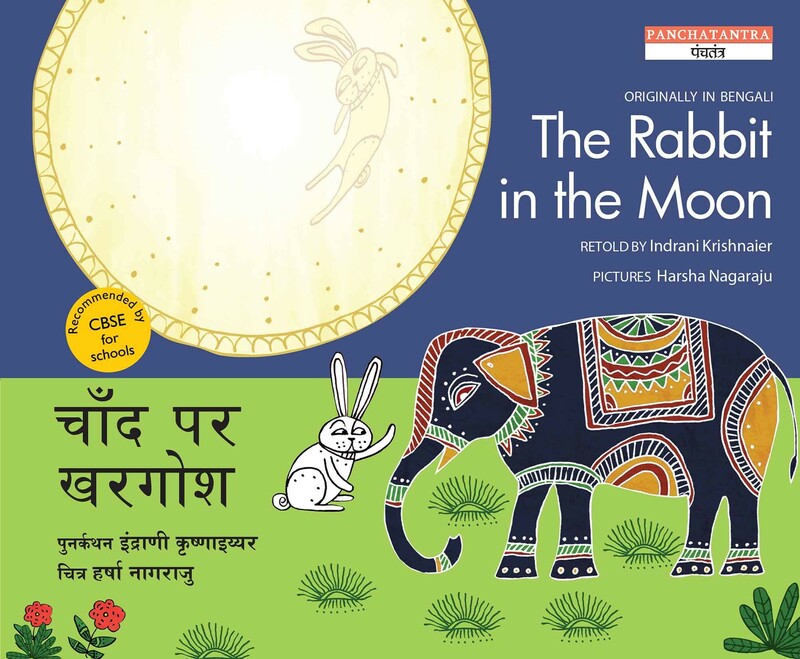 When a herd of elephants creates trouble in the jungle, do the little rabbits run away in fear? No! Illustrations are based on the pithora folk style of central India, deriving from cave art.